Looking for a painting contractor for high quality interior or exterior painting? R Contracting Services is well-known in the Atlanta area for outstanding service and high quality work. If it involves painting, staining, or surface refinishing, we handle your project with ease, professionalism and integrity. Explore our painting services free estimate opportunities to help with your dream home ideas. The quickest way to make your home feel fresh and new is with a new coat of paint. But it takes more than a paint brush to get the job done right. To properly complete an exterior painting project that will maintain its luster under the stress of daily weather and wear, you must begin with proper surface cleaning and preparation. Exterior painting has the unique ability to improve the look of your home without spending a penny on landscaping or remodeling. 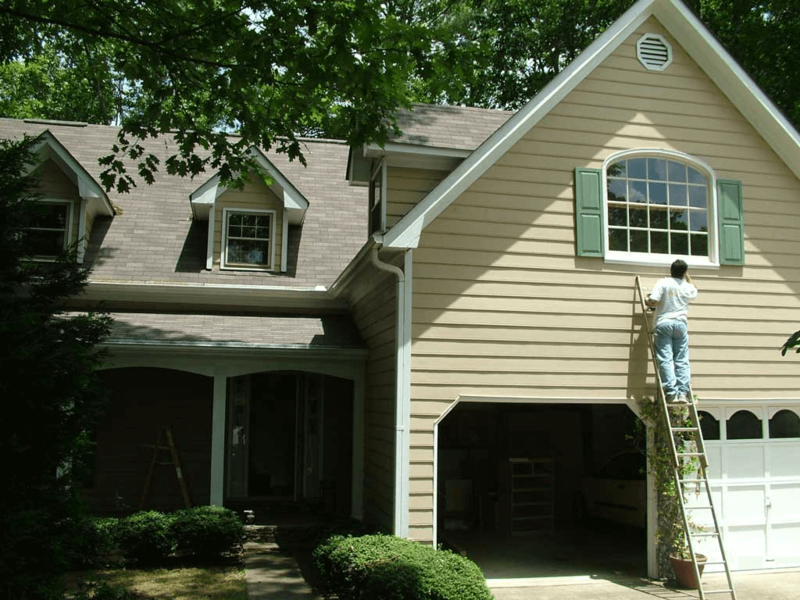 Having a quality exterior painting job is one of the most important parts of your home maintenance. Your home exterior endures more wear and tear than any other painted surface. If your home is in need of painting, let us take a look and give you a no-obligation, free painting estimate. Our exterior painting experts begin their job by helping you select the color of paint you want. They can suggest colors based on the overall look and feel of your home and neighborhood. They will then make sure the exterior of the home is completely clean and free of cobwebs, dirt and grime. This is to ensure the best bond possible between the paint and your home. They will then apply a generous coat of high quality paint and/or primer. We use special paint designed for outdoor use. If you want to increase your curb appeal and be the envy of the neighborhood, exterior painting may be the best solution. At R Contracting Services we use the best paint techniques and products to deliver an exterior that looks great today and for years to come. 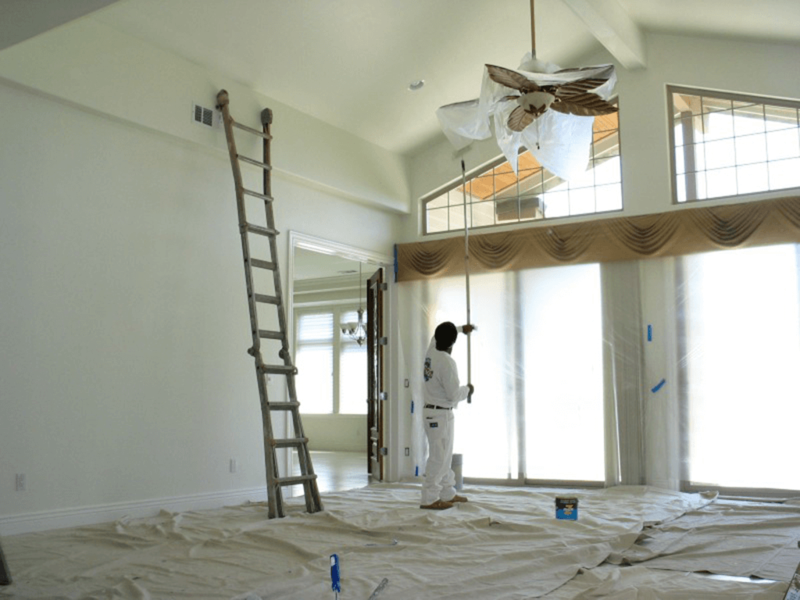 When painting one room or your entire house, you should hire a professional to make sure the job is done right. If you're looking to paint your home, think of the undertaking that is. Why go and buy all of the supplies and paint needed? 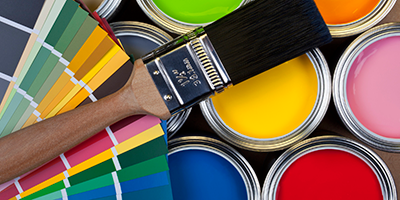 Our company carries top-quality, professional painting supplies in all kinds of styles and colors. We also have the necessary tools that are needed for a high quality paint job. One of the most important parts of interior painting is the preparation. If preparation is not done properly this can leave messy trim and molding and other mishaps. Our trained craftsmen protect your furnishings well before the sanding and caulking begins. Throughout the entire job, our craftsmen keep the job neat and clean to ensure your safety, as well as their own. If you're looking for top-quality painting for the interior or exterior of your home, R Contracting Services has you covered. Give us a call today at 770-294-6455 or send us a message and schedule your free, no-obligation quote.